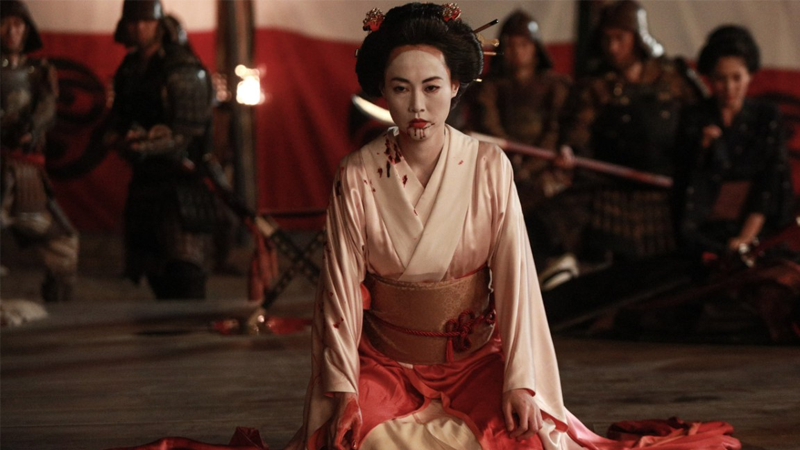 Akane the Geisha causes some heads to roll—well, more like flop a bit—thanks to some practical FX magic. Westworld’s sophomore season may have occasionally been a bit too bonkers for its own good, but it’s hard to overstate just how beautiful HBO’s robo-revolution drama can look sometimes... even in its goriest moments, thanks to the impressive work of practical FX studio Fractured FX. This cool video from Insider about Fractured’s work on season features a bit of those gorgeously sinister Drone Host suits we’ve seen so much of, but it takes a particular focus on two grippingly gruesome moments on season two that were brought to life with practical FX: first, the moment Akane sliced off the head of the Shogun in “Akane No Mai,, leaving nothing much than the lower half of his jaw, which required creating a cast of actor Masaru Shinozuka that could feature the gorily-textured muscle and bone exposed by Akane’s attack and flip open like the world’s grossest Pez dispenser. The second, and altogether more grisly prop were the wounds on Maeve’s neck and arms from when Delos captured her and surgically attempted to uncover just how she could control other hosts in the parks. Naturally, the team looked to real life surgeries to make the grisly wounds look all the more convincing on screen. It’s pretty cool to see that these moments were achieved with minimal VFX and instead with some old school practicality... and, err, copious amounts of fake blood.